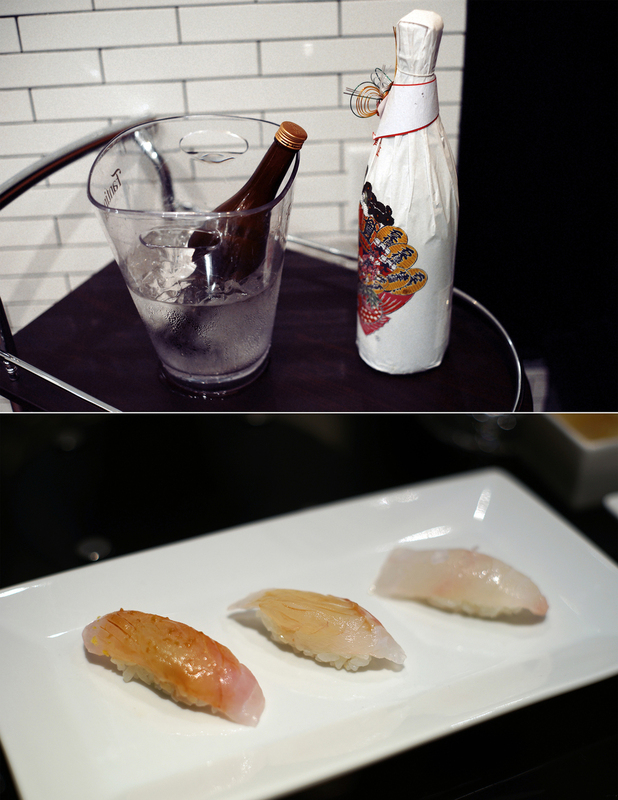 My first meal of 2014 was at Sushi Nakazawa, a restaurant that I couldn’t get a reservation for last year. The early buzz was due in part to the fact that its head chef was Daisuke Nakazawa, the hard-working apprentice seeking perfection in the documentary, Jiro Dreams of Sushi. In the film, he made over 200 tamagoyaki before getting a nod of approval by Jiro. That tireless commitment to exacting standards would translate well when Nakazawa made his American debut in 2011 at Shiro’s, a restaurant owned by a fellow Jiro apprentice. My friend Kevin recounted a positive experience and said that a flight to Seattle was warranted just to try the omakase. Fast forward to late 2012 when Nakazawa established his own operation in New York City – the ultimate litmus test for success. Again, I heard gushing reviews from Rob and Jess about the quality of the omakase and the jovial nature of the chef. They highly recommended that I go see for myself. After multiple tries at securing a reservation online and finding that every single time slot was taken, I gave up after a few months. With the recent 4 star New York Times review by Pete Wells, my 0.1% chance shriveled to 0.01%. I had accepted the fact that I would never get a table there. So imagine my delight when my girlfriend secured a surprise reservation for two coveted seats at the sushi bar after putting her name in the queue a month earlier. As we were getting amped about our dinner, Anna’s phone rang. The hostess dropped a bomb: the reservation website, SeatMe, had a glitch and double-booked us for seats at the counter that were no longer unavailable. This meant that we would be tucked away in the main dining room, light years away from watching Nakazawa thrive in his element. The only silver lining was the lower price we’d pay: a 20-piece omakase for $120/pp for a seat in the dining room vs $150/pp for sushi counter seats. Still in a daze, we barely heard her last words, “did you still want the table or did you want to cancel?” as we dashed out the door. The weather was brutally cold on Jan 6th as we ran down 7th ave. The wind was relentless and whipped our faces until tears streamed down our numb cheeks. Just when we couldn't stomach any more agony, the door appeared. Moving quickly inside, we were warmly greeted by the smiling hostess and the toasty air that thawed our frozen ears. After taking our coats, the hostess ruefully apologized again and offered a significant upgrade: Table 20, usually reserved for industry professionals and VIP’s, which was located just an arm’s length away from the sushi counter. As we settled into the plushy black leather swivel chairs, I took stock of the surroundings. This was not your traditional sushi restaurant. Servers in tailored black suits with perfectly knotted ties maneuvered the dining room like a choreographed group of ballet dancers. The décor consisted of black accents as well as stark white marble countertops, devoid of the traditional bamboo and dark mahogany wood you would find at a typical sushi restaurant. The vibe was cosmopolitan chic with a sleek veneer. Unfortunately, our table spun around like a Lazy Susan on its wobbly axis and our chairs also swayed with the slightest touch. We were lucky to have the maitre'd, Vito, as our server. To start things off, he recommended two different glasses of cold sake, one of which was aged and considerably more complex. The first dish almost came out immediately, the most exquisite pieces of salmon. The chum salmon smoked with hay had a subtle charred taste that was interesting. The next plate contained clam and sweet scallops from Hokkaido. Amazing. The pacing was excellent as we never had to wait long for the next course. While I usually jotted down notes during meals, I wanted to savor the enjoyable experience and not “work” so there are a few pieces I am not sure of. As we ate these miniature masterpieces, we noticed two things that set him apart on another level. The first being that each piece was consistently buttery and literally melted in your mouth. At most places, only the otoro and chutoro and a few select pieces exhibit this quality. At Nakazawa, it was virtually every piece. The second thing was the element of heat. Not heat from the wasabi, but heat from a yuzu oil that contained chilis or hot mustard to give it a kick that didn't overpower but helped cut through the richness of each piece. After finishing a piece of sushi, our tongues tingled for more. 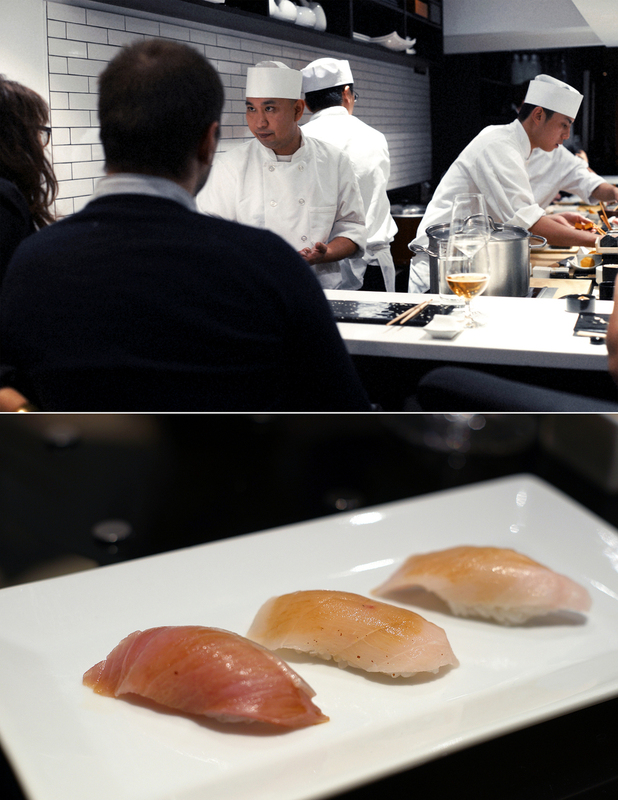 Nakazawa, surrounded by his brigade of 4-5 chefs, remained calm as they prepped each course with precision and speed. At the start of the course, Nakazawa would take his tablet out and pull up a picture of the fish. “Next course is barred knifejaw,” said Nakazawa with a smile on his face as he showed the tablet to a couple. “Very delicious, you will see,” he proudly said as he paraded the tablet to each customer at the sushi bar. A few times, he caught Anna and me with our cameras focused on him and his crew. He welcomed the interaction by pointing at us and grinning. He posed for a few pictures with goofy expressions and his happiness was infectious which made the atmosphere more enjoyable. What a contrast from the revered, hushed experience depicted in the documentary at his mentor's restaurant, Sukiyabashi Jiro, where there seems to be limitations on time spent eating, interaction with the chef, and overall noise level. The next dish was a highlight for both of us. We were pleasantly surprised to find out that the tuna was sourced from Boston instead of Japan. Anna and I preferred the chutoro‘s distinct flavor and firmer texture versus the otoro’s buttery bite of pure fat. The roe and uni course balanced each other perfectly. 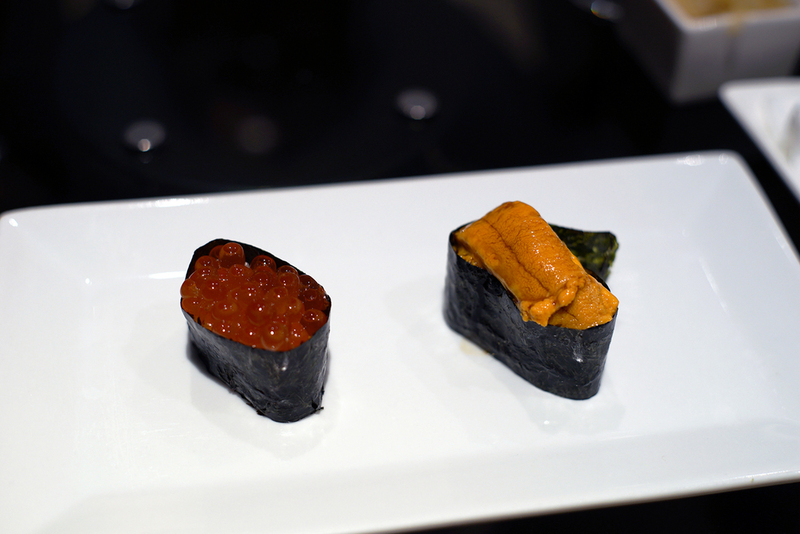 The roe was not too salty and complemented the ultra creamy uni from Santa Barbara. It was a generous heaping of uni over rice surrounded by high quality seaweed. After a flurry of delicious sushi, our meal concluded with his signature tamago. You take a bite, expecting it to taste like egg, but it’s dense like a cake with a sweet aftertaste. Almost like a dessert! The anago (eel) isn’t like the ones from the bodegas and Trader Joe’s; rubbery with that band of seaweed that you chew on until it becomes gristle and you finally have to wash it down with green tea. Real anago isn’t doused in overly salty and sweet artificial eel sauce. Up to this point, my favorite eel was enjoyed at Sushi Yasuda. Nakazawa’s is similar – the meat almost flakes apart in your mouth and dissolves with a natural subtle sweetness mixed with just a dash of vinegar from the sushi rice. Vito came by to see if we wanted to continue the omakase or make a few selections. We opted for the latter and ordered our favorites from the evening. I wanted to try the uni from Hokkaido, the scallop, the eel, chutoro as well as the delicious tamago. More tamago! On the right, Anna smiles at toro...who isn't smiling back. 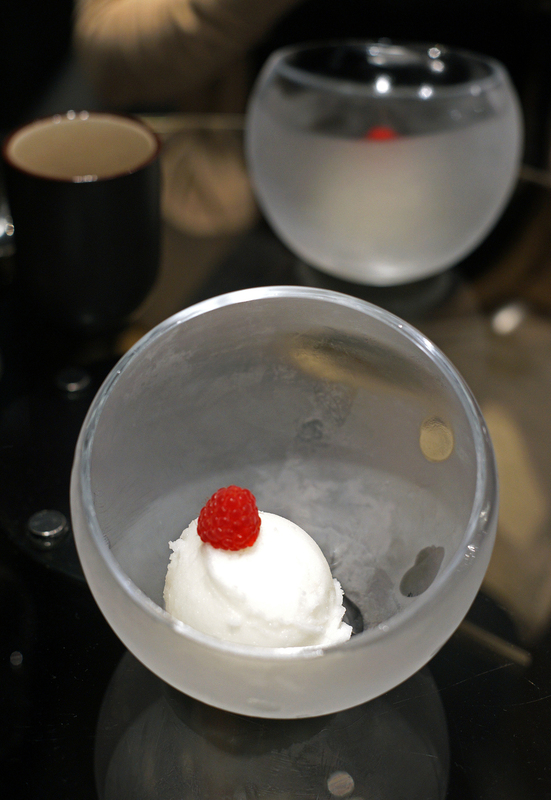 Dessert was a refreshing yuzu sherbet that came in these cool circular "fishbowls". Overall, Nakazawa had excellent service, great pacing, and the best sushi I have had in New York so far. The night ended on a high note when we were able to talk to the co-owner, Alessandro Borgognone. He gave us the firsthand account of how it went down. After seeing the Jiro documentary, he was so impressed that sent a Facebook message to Nakazawa and after a few awkward email exchanges using Google Translate, a face to face meeting was arranged where Alessandro communicated his passion and vision for Nakazawa’s bright future and the rest is history. Out of all the restaurants he owns, he says Nakazawa is his favorite. “We do one thing and one thing only: sushi. We believe we have perfected it." After taking a picture with him, we turned around and surveyed the scene. Almost all the diners had left already. Nakazawa was gone. In his place was the brigade breaking down their stations and tidying up their stations. Outside in the snow, a chef was on his cell phone speaking in Japanese. We said thank you as we walked past and he put his hand on the phone and turned to us. “Thank you, thank you,” he whispered with a grin. It's really hard to get a reservation at Nakazawa. But keep trying - it's worth it. If you can't get a seat at the counter, ask for the next best thing, Table 20 (which only seats two). The food and service are top-notch. Get the aged sake. 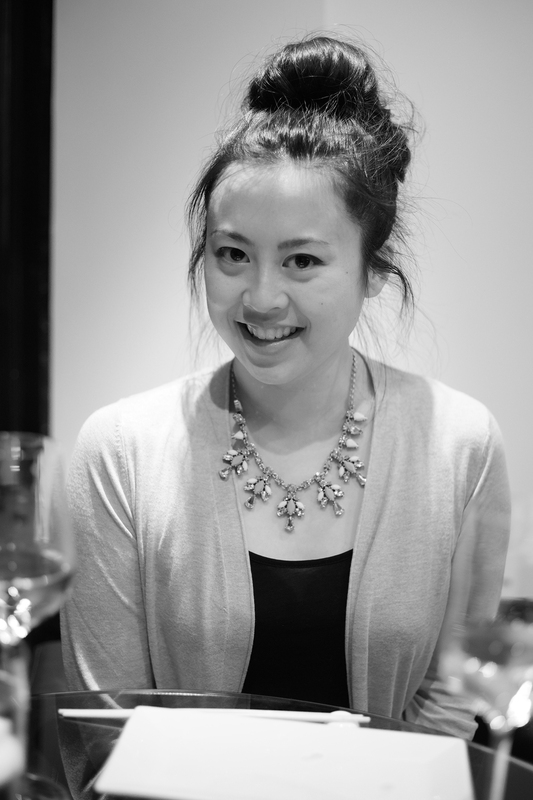 Nakazawa has become a master at his craft, earning accolades from critics and customers. 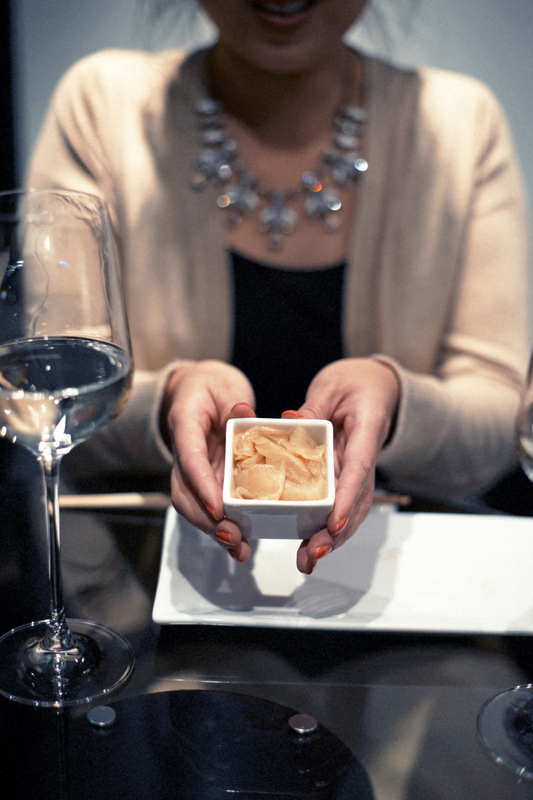 Unlike Jiro, Nakazawa is playful and relishes the interactions with customers.